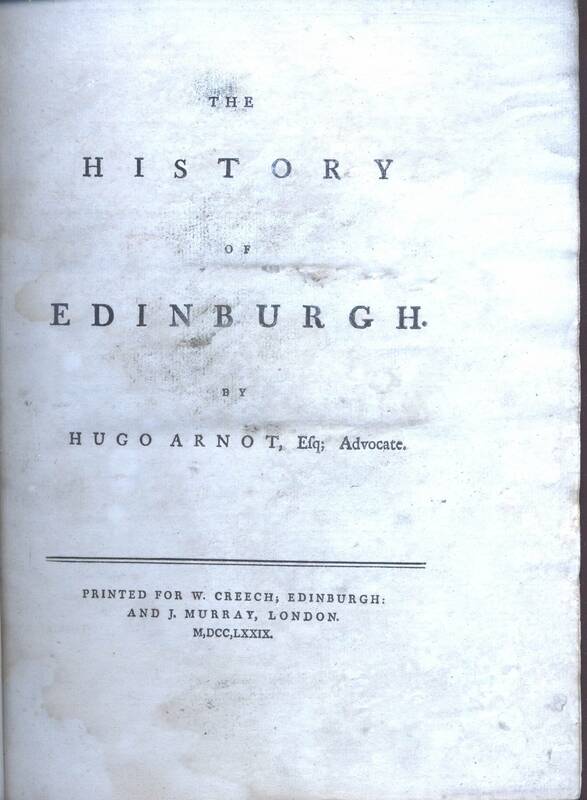 The title page of The History of Edinburgh published by William Creech in 1779. Arnot, Hugo. The History of Edinburgh. William Creech, 1779. 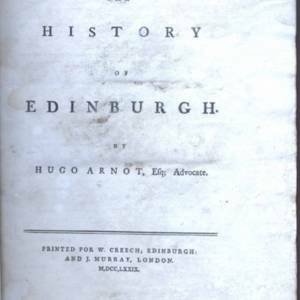 William Creech, “Title Page of The History of Edinburgh,” UVic Libraries Omeka Classic, accessed April 21, 2019, http://omeka.library.uvic.ca/items/show/1401.